Mr. Balaramachandran, an alumnus of Sri Sathya Sai Institute of Higher Learning, who is now part of the Sundaram Bhajan Group, Chennai, was part of the team which presented the Sai Pancharatna Kritis for the first time in Prasanthi Nilayam on April 24, 2015. Presented below are edited excerpts of this conversation with him in the Radio Sai studio after the morning program. 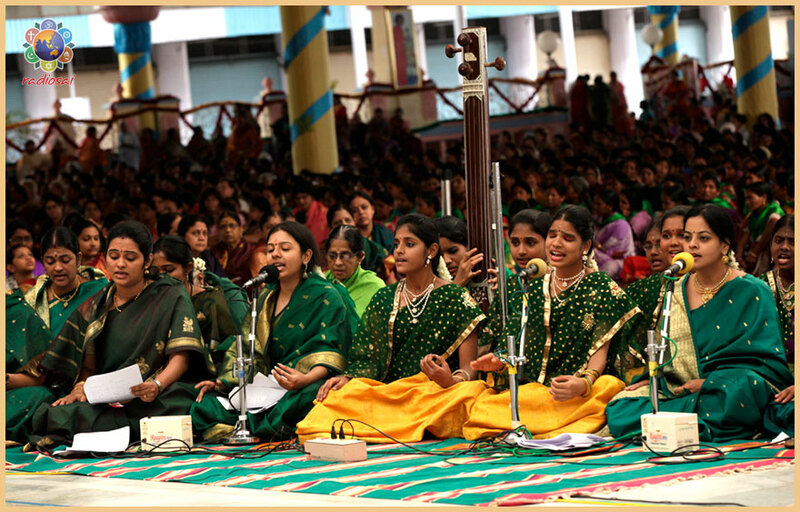 Bishu Prusty (BP): Today is Aradhana Day 2015. You were fortunate to be part of this program where a novel offering of Sai Pancharatna Kritis was made at Bhagawan's Sannidhi. This was yet another initiative on Swami's 90th Birthday. How was the experience? Balaramachandran (BRC): It has been absolutely breathtaking. If I were to quickly recap, the first time these kritis were played out to us, we were completely dumbfounded because we knew this is not easy. If you see the group which offered the kritis today, barring a few of them, the rest are ordinary bhajan singers in Sundaram and elsewhere; none of them are trained in classical music. Of course there were the girls from Swami's school in Otteri, Chennai who did a fabulous job. They had practised long enough to know the songs by heart. This is quite commendable because a normal song would have just one pallavi, one anupallavi and one charanam but here we have one pallavi and one anupallavi but 6-7 charanams. Multiply that with 5 songs! Moreover the charanams have lots of swaras. These students came in without a paper. Hats off to them! Professional musicians can deliver any song with ease once they have the notations. But for many of us the swaras also were like a lyric because we only understood sounds. So the first day, we were all scared. We told Mr. Raj Kumar Bharathi, the composer, that it could be tough for many of us to cope up with this task given its complexity. What touched me the most is him saying this. Because unlike most of us who knew Swami for decades and have indeed experienced so much of His love, Mr. Raj Kumar Bharathi came to Bhagawan for the first time only in November 2010. The grand finale of 85th Birthday celebration - 'Prema Pravaham' was his composition. They say, the 'Prema Pravaham' program was the 'Prema Pravaham' of Swami to him too; the stream of love and grace he experienced then changed him forever. When he said that, we thought, we should be the ones to say this. He did not go into the technicalities at all. Just asked us to have faith and surrender. 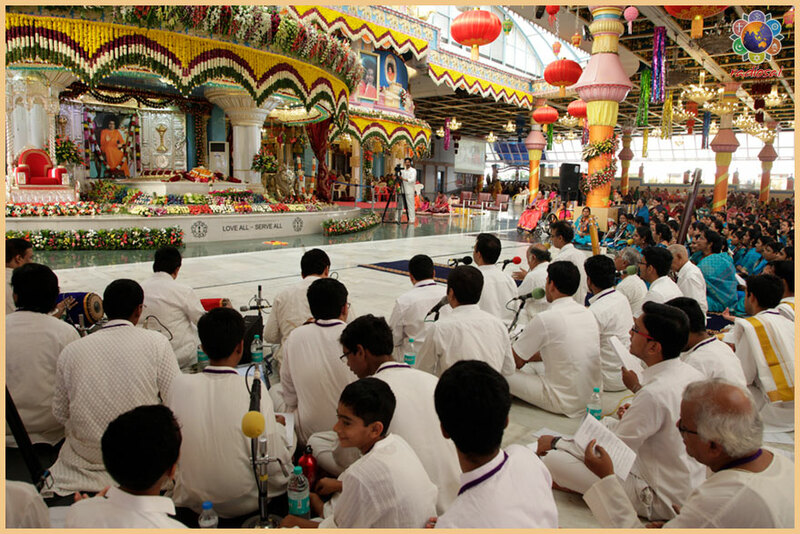 True to those words, we started learning the kritis based on our experience of singing bhajans. 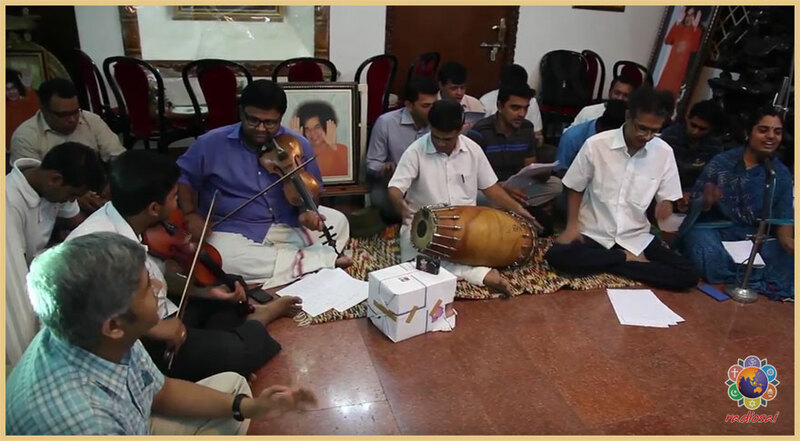 All the brothers and sisters who were part of this program would come to Sundaram after their day's work at 7 pm and the practice session would go on for hours. We had many distinguished artistes come and teach us. One of them for instance was Mrs. Vidya Kalyanaraman. She had a concert one afternoon, still she taught us the whole of that morning. Generally artistes would like to rest their voice before their concert. But she was deeply committed to this seva. In fact it reminded me of how we students used to work during the Annual Sports and Cultural Meet. What would generally take months to pick up would be done by us in a week or less. The most fascinating thing about 'doing' Swami's work is that it gives you the beautiful opportunity to see His magic play out and we saw this in every detail of this endeavour. We initially thought there would be 15 of us but finally 53 of us came from Chennai! We started at 5.30 am from Sundaram and throughout the journey we would have done about 6-7 rounds of practice in the bus itself. It was continuous singing. All of us felt this is a life-time opportunity and we have to make the most of it. Who knows, the next year there might be a queue of musicians for this. So everyone who had picked up something was eagerly teaching the other. It was a lovely group. We were all so focussed. Finally when we sang the kritis in the live presence of Bhagawan, to me it appeared as if all the words, and all the appellations of Bhagawan mentioned in these songs suddenly acquired a special power. Interestingly, after the program when we stepped out, exactly for 5 minutes, it poured. It was just a beautiful little shower from the heavens. Actually, when it rained, so many of us immediately broke down. It was a totally moving experience. Somehow we felt this is one of the most important purposes of our lives. Even now it looks like magic! We cannot believe that Swami so graciously gave us this chance. BP: Brother, before we started this conversation, I had the chance to talk to Mr. Srinivasa Chettiar who in the past has executed many projects of Bhagawan. He was sharing about the Likhita Japa Yagnam they had done in the 90s' wherein they encouraged devotees to write “Om Sri Sai Ram”. Crores of time the Name was written and sometime in '97-'98 Swami placed all these books below Sai Kulwant Hall where the Rama Sita statue currently stands. However initially Swami had placed only the Hanuman statue there. Later Swami called Mr. Chettiar and said, “We have kept the Likhita Japa sadhana of so many devotees here. This place has now acquired so much power that even Hanuman is not feeling competent enough to withstand its immensity. Hanuman will be comfortable if his Master comes here. 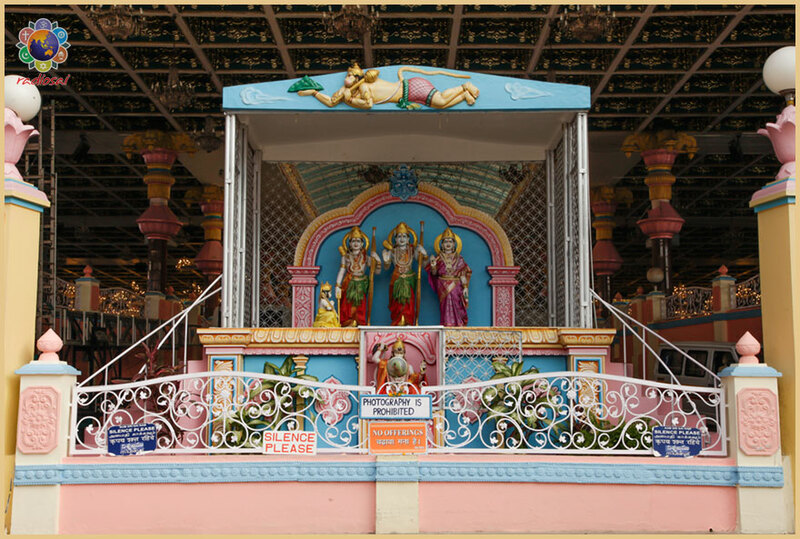 So you make statues of the Rama Parivar and let us install all of them here along with Hanuman.” That is how the statues of Rama, Lakshmana and Seeta in that beautiful little enclosure at the entrance of Sai Kulwant Hall came into being. The great poet-saint Tyagaraja whose love for Rama is legendary, blessed humanity with the beautiful Pancharatna kritis which have been for centuries the crest jewels of carnatic music. Today, inspired by Tyagaraja's immortal work on Rama have emerged the immortal kritis on Sai Rama. 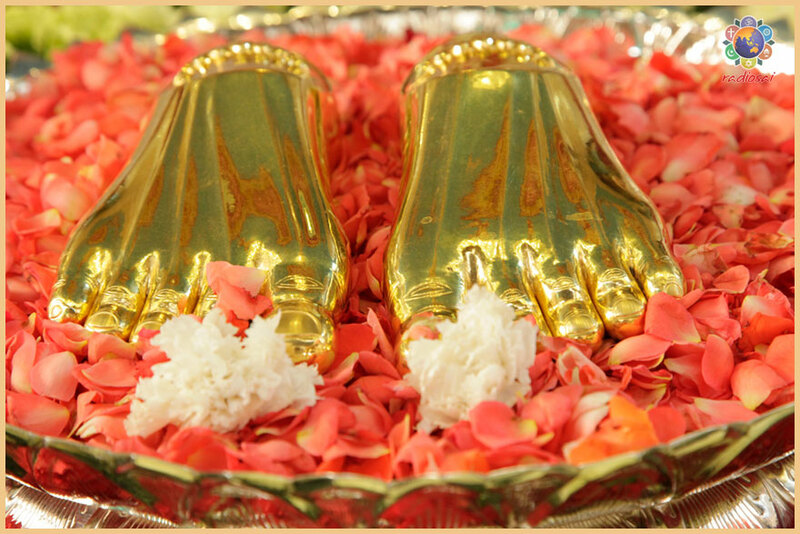 One only hopes and prays that this offering of the Sai Pancharatna Kritis becomes an annual tradition. BRC: Yes. 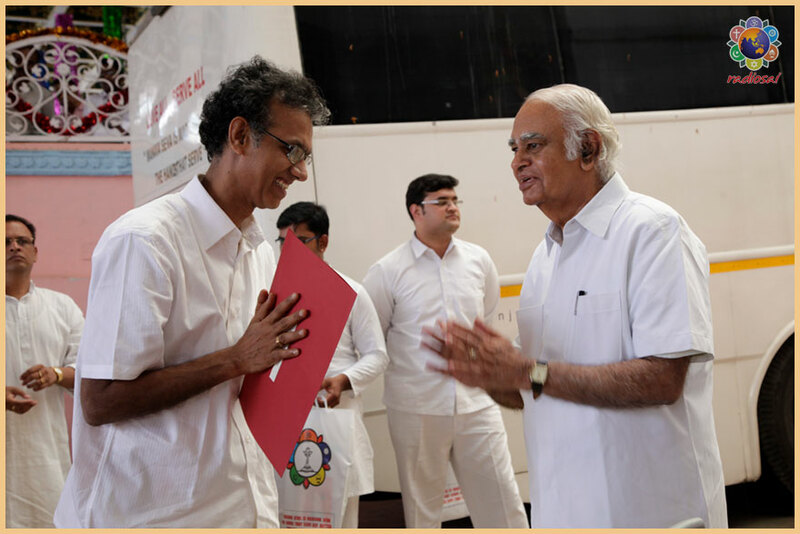 In fact, Prof. Venkataraman, the brain behind this whole initiative, was saying something to us after the program which was heart-warming. He said the Sai organisation would give us a 'ticket' to be part of it next time. I knew there would be more musically qualified people who would be joining this in the coming years. So hearing that from him was a great blessing. To be a part of this group is an extremely special experience, does not matter even if I am sitting in the last line. There is another thought that occurred to me when we were learning these kritis. Initially we were busy learning the tune and the technicalities. But once we became confident of this we started thinking about the meaning. When I started looking at the lyrics deeply, I realised that almost on every single stanza, one can write a commentary. If I picked up one line, I could think of three or four episodes from Swami's life that explained it. So I feel one day there will definitely be a commentary on this just like we have commentaries on the Bhagavad Gita. One interesting thought that I have had concerning the Gita is, if one were to continuously chant the Gita, non-stop, it takes about 1.5 hours. But according to Mahabharata, this was a real-time conversation where Lord Krishna was explaining and Arjuna was slowly assimilating, then logically it should take 2.5 to 3 hours. And this was happening in the battlefield! The question is what were the others doing all this while. I used to be under the impression that Swami would have altered time and space so that others did not feel the passage of time. However a senior brother from Chennai who studied in Bhagawan's college probably in the eighties, revealed to me that this question in fact was once asked to Swami. “Did You alter time and space Swami?” the boys asked. So the Gita of today is itself a commentary of the original. I feel the same thing is going to happen with the Sai Pancharatna Kritis. Someday somebody is going to write a commentary on its every line. BP: It is the same thought that crossed my mind too when I was going through the lyrics accompanied with English translation displayed on the screen. A booklet was also distributed and I saw many poring over the pages to understand the meaning of what was being sung. BRC: There is a particular line which goes “Naa hakku meeranuchu”, meaning “You are My property”. I remember one alumni brother pointing this out to me during our bus journey. When he read this out, we couldn't speak. In the changed circumstances after Bhagawan leaving His physical vesture, this phrase is now more significant than ever. 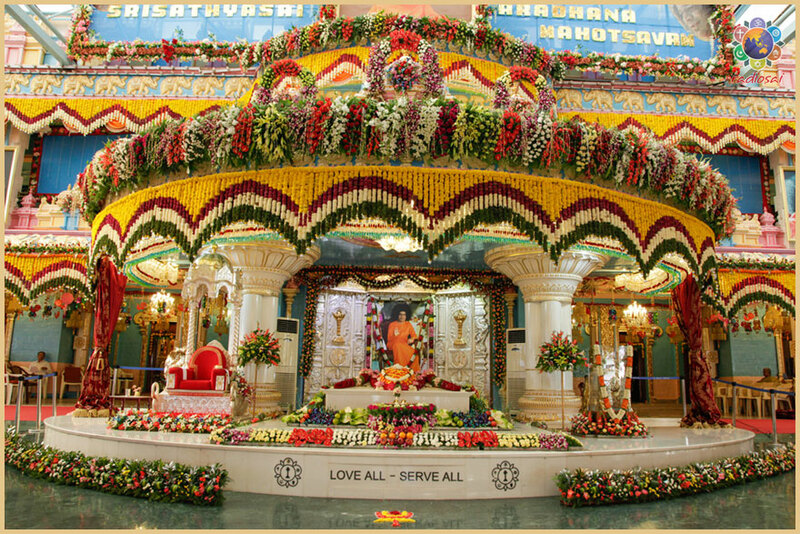 To top it all, in the discourse that was played after our rendition in the morning, Bhagawan declares, “My students are My property; they will not leave Me and I will not leave them.” It felt like Swami was giving us an instant response. A huge wave of current went through us. We just looked at each other, bewildered and blessed. BP: Amazing! That is how Tyagaraja Kritis too are. It is not just amazing musical work; the lyrics and the feeling behind every word and syllable is equally potent. BRC: In fact I am given to understand that Tyagaraja never sat down, composed and wrote. He would just converse with Rama. The moment he broke into a song, a disciple would learn the pallavi and run away; another would learn the anupallavi and run away; the third would learn the charanam and run away. They would all go to the banks of River Kaveri and each one would sit in a different ghat and mentally record and practise. Then they would sit together and say, “We have now captured the lyrics and the raga but how do we capture the bhava in the master's voice?” That is the only thing they couldn't preserve, rest they did. They say this is how every kriti came into being. Tyagaraja was not even conscious that songs were happening through him. Indeed Rama sang through Tyagaraja and now Swami must have sung through Raj Kumar Bharathi Sir. The kritis are so grand. Their superior quality is obvious. And the way it has come out is unbelievable. BP: This actually reminds me of how Swami Himself used to sing Tyagaraja kritis especially in the days when He used to visit the palace of the Raja of Venkatagiri. 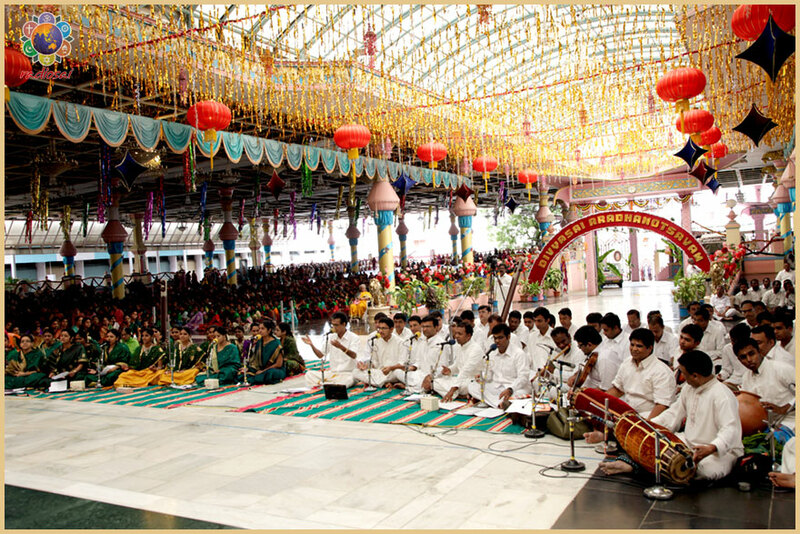 Many who were present then recall how Bhagawan used to sing some kritis which hardly anyone knew. Well, He has heard them; He has inspired them. This Aradhana Day offering too was orchestrated by Him and inspired by Him. In fact it is always like that. He orchestrates and tells you what to offer and then He only offers it and finally it is He who enjoys the offering. BRC: And gives us the credit in the end! BP: True! Let's hope this tradition continues and more people discover this medium to connect with Him and offer their love musically. BRC: Most definitely! Thank you. Sairam.